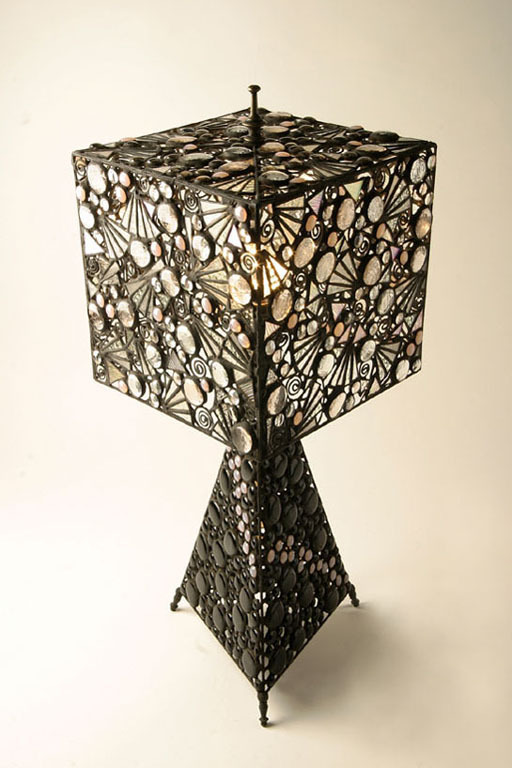 This unique lamp is 25 ½" high, plus the 2" finial. The triangle pyramid base consists of black gems with a ribbon of opalescent gems. The shade has five 10" square panels with a variety of textured clear triangles, clear and iridescent gems, with opalescent gems splashed randomly.